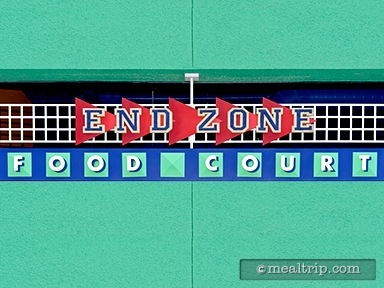 The End Zone Food Court is the only restaurant at Disney’s All Star Sports Resort. 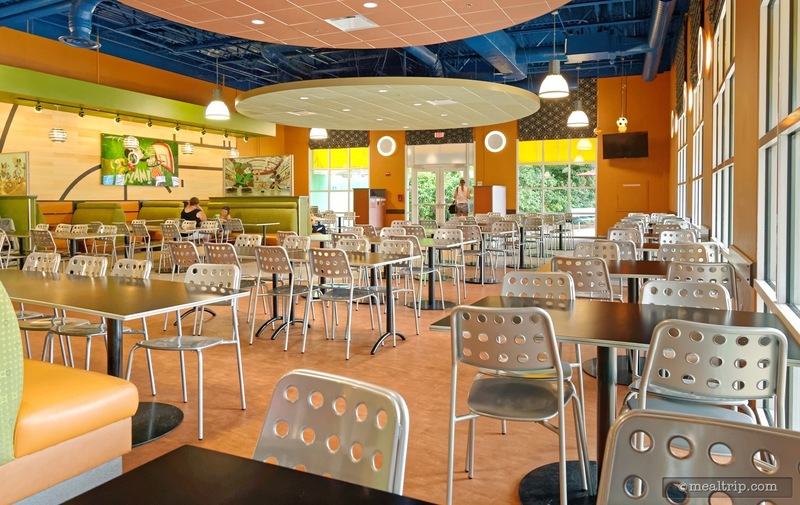 The food-court style eatery is located at the end of the guest check in area and a few steps down the corridor. The large dining area can get busy at peak times and (well, I hate to say it), but other than many wall coverings, the environment doesn’t offer much in the way of a “sports” aesthetic. Hot breakfast items are served from 6:00am until 11:00am and include mostly “American Standards” including Mickey Shaped Waffles, Pancakes, French Toast. The real super-stars at breakfast though, are the dozen or so made-to order Omelets including standards like a Western Omelet and a Vegetable Omelet to more unique offerings like the Broccoli & Ham Omelet with Tomatoes and Cheese and a Spinach, Mushroom and Cheese Omelet. Grab and Go items are also available along with a few items from the bakery station including assorted Turnovers, Muffins, Croissants and Danishes.